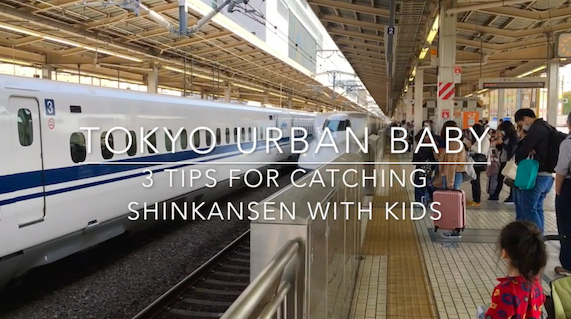 Are you hoping to see spectacular autumn leaves while you are in Tokyo? 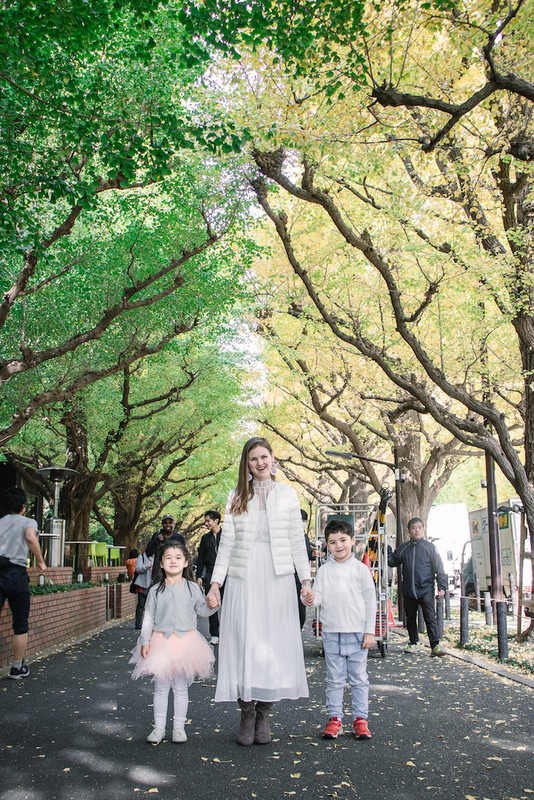 Make sure you visit Icho Namiki Ginkgo avenue! 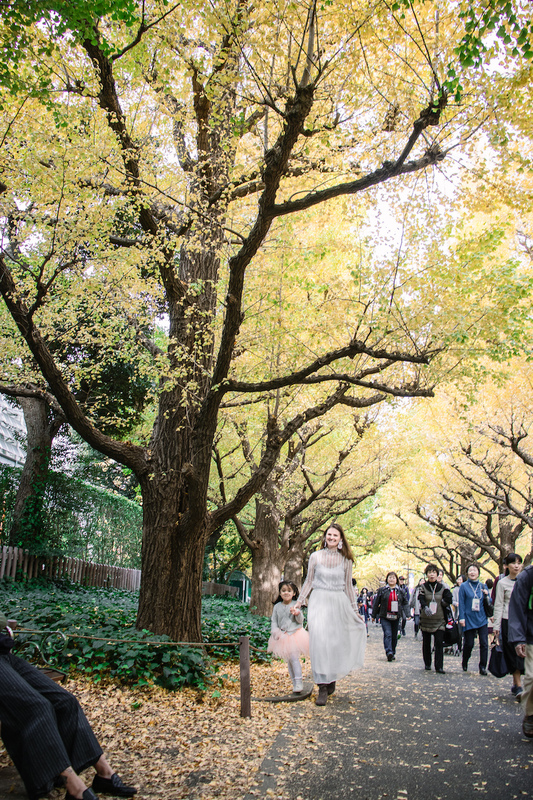 It is famous for its Ginkgo Tree Tunnel, where you can walk down the path and feel like you’re walking down a tunnel of yellow. So beautiful! When we went there on 18th November, it was actually just starting to turn yellow. The tunnel on the left-hand side of the road was still green and yellow. It was amazing! You can see the contrast in colour in the photos below. Check the autumn leaves before you go! The Ginkgo leaves turn yellow at slightly different times each year, so make sure you check online first to make sure they are actually changing colour. 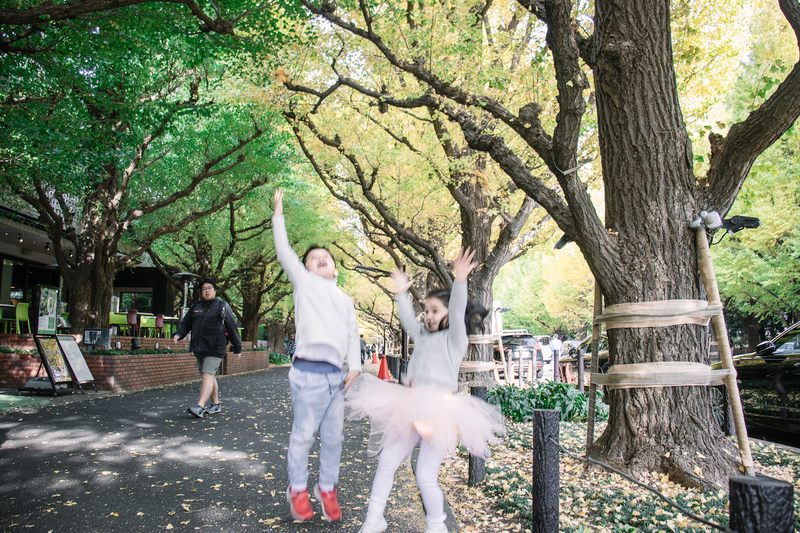 If you go at the end of November there is a high chance you will see them after the peak, which is beautiful because the yellow leaves will be falling on the ground which is great for photos and the kids love playing with the leaves. Go early! 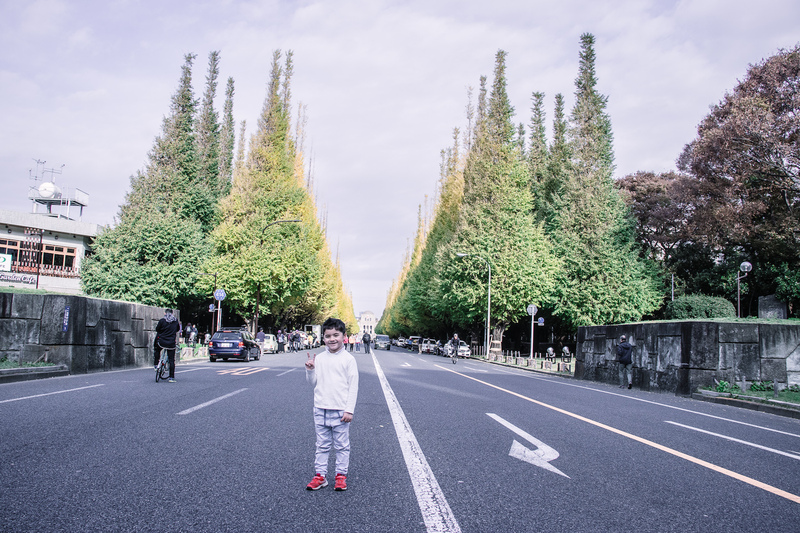 This road lined with Ginkgo Trees is super popular in Tokyo and quickly becomes crowded. We went there at 8:30am on a Sunday and it was already getting busy. I wanted to go earlier at 7am, but I couldn’t manage to get the kids organized fast enough! If you go there at 7am, I think you will be able to take photos more easily without people in the background. Go to Starbucks! There are a few restaurants on Icho Namiki road, but they don’t open until about 11am. There is a new Starbucks opened at the Aoyama Itchome Station, which opens early and they also have an all-purpose toilet with baby-change table. Very convenient! 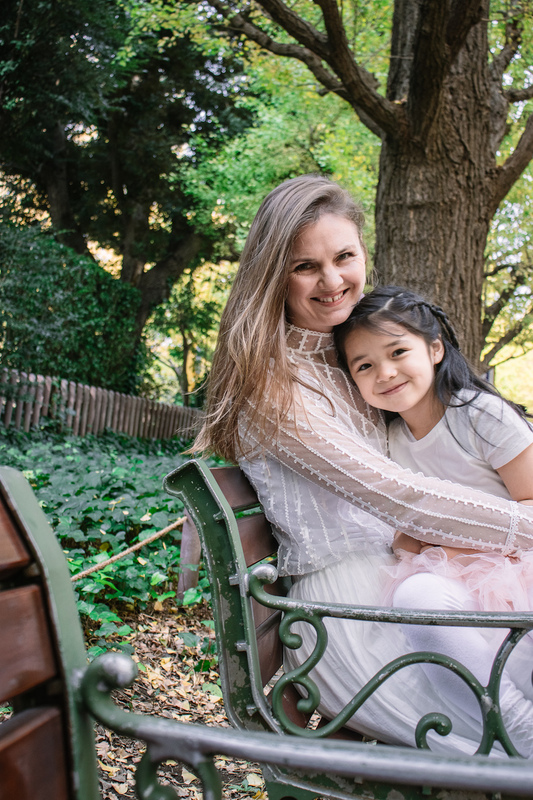 Make sure you visit and take lots of fun photos with your kids! The famous Icho Namiki Ginkgo Tree Tunnel! It was absolutely amazing because the left side trees were still green while the right-hand side was yellow! 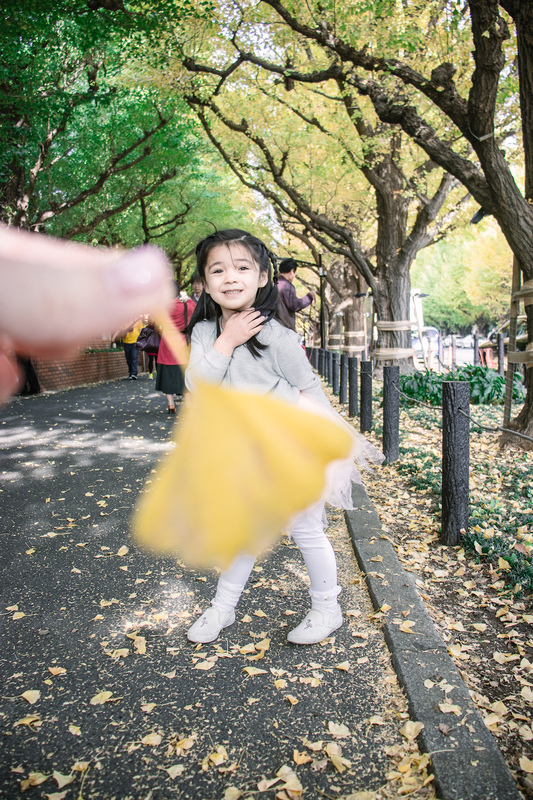 My kids had a wonderful time throwing the yellow leaves in the air! Make sure you visit with your kids! 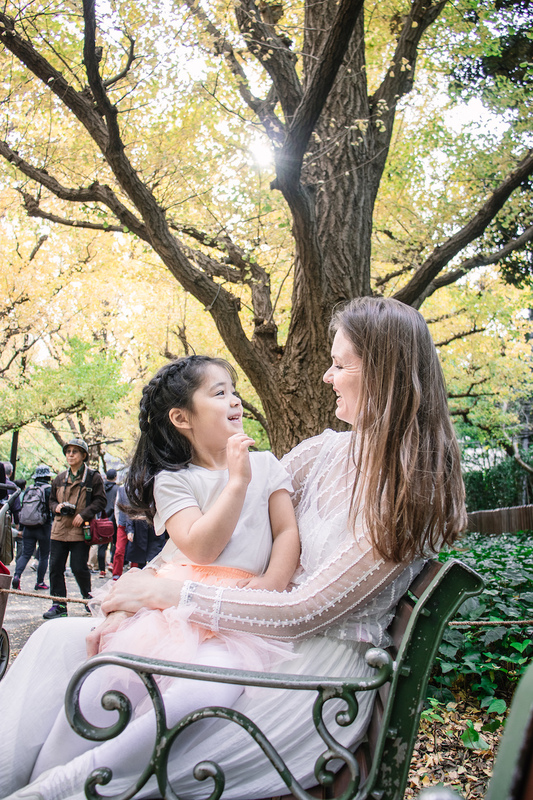 There were many Japanese local families with their kids taking family photos. It was a wonderful atmosphere!